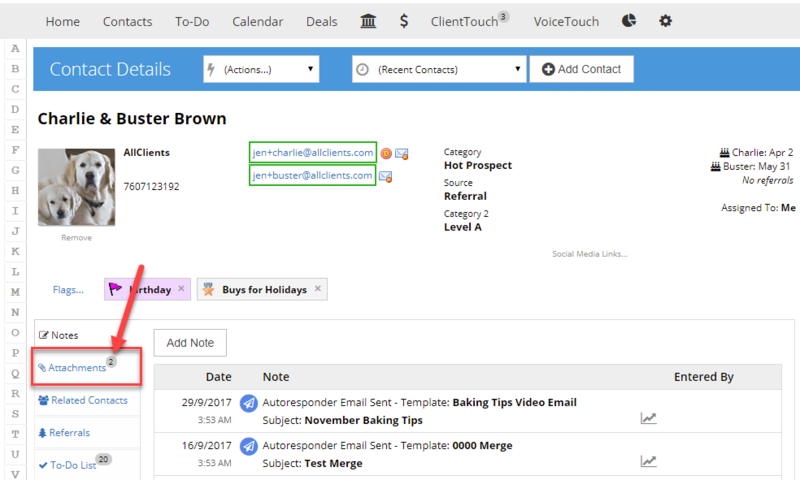 We now display on the Contact Record the number of file attachments on a contact record. You will not see a count if there are no attachments. Learn more about how to include Account ID’s and Team Member ID’s in your Content Pages in this article: Customize the Content Pages. If you are using the API, you may want to review this article to learn more about new API options.